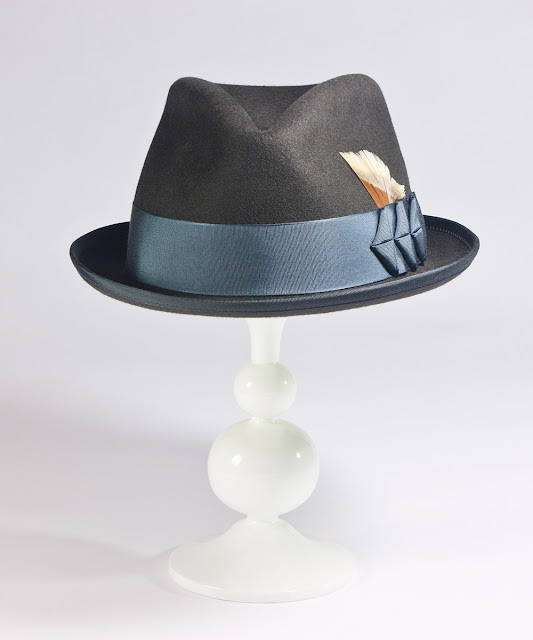 Combining a handsome front pinch and long center-dent crown with a stingy curled brim, the 'Clive' is a jaunty hybrid of a classic homburg and the ever-popular fedora. 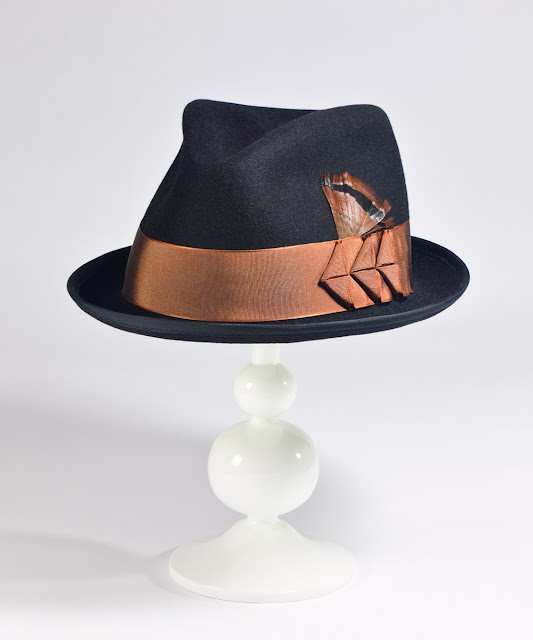 It doesn't get any sharper than this! Trimmed in a graphic bow finished with silk stitching and a ribbon-bound edge. 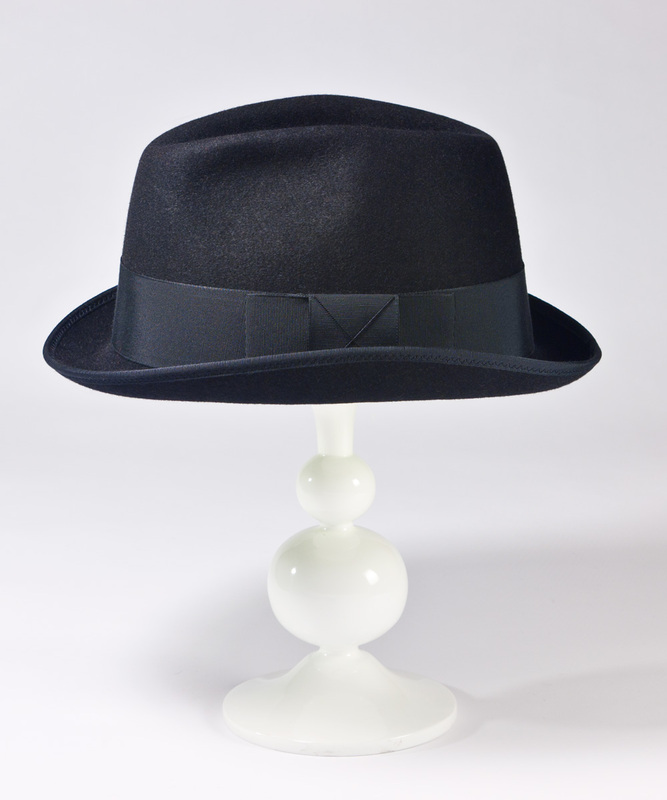 Available in black or taupe. 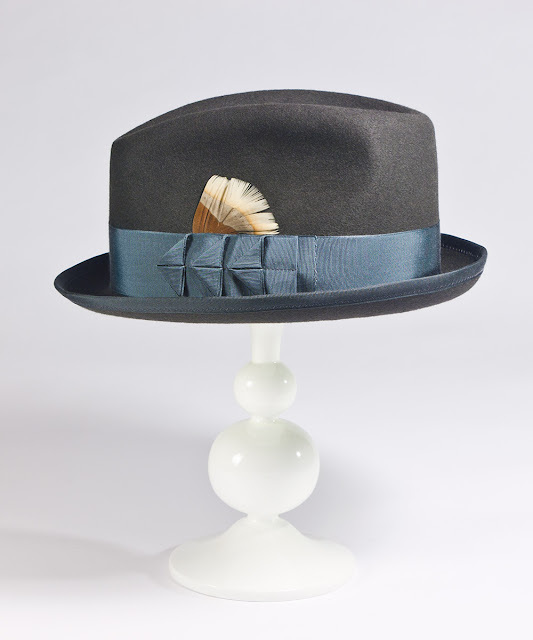 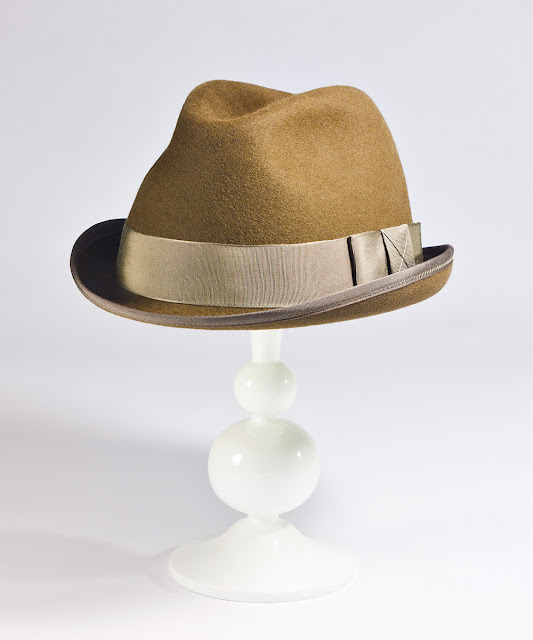 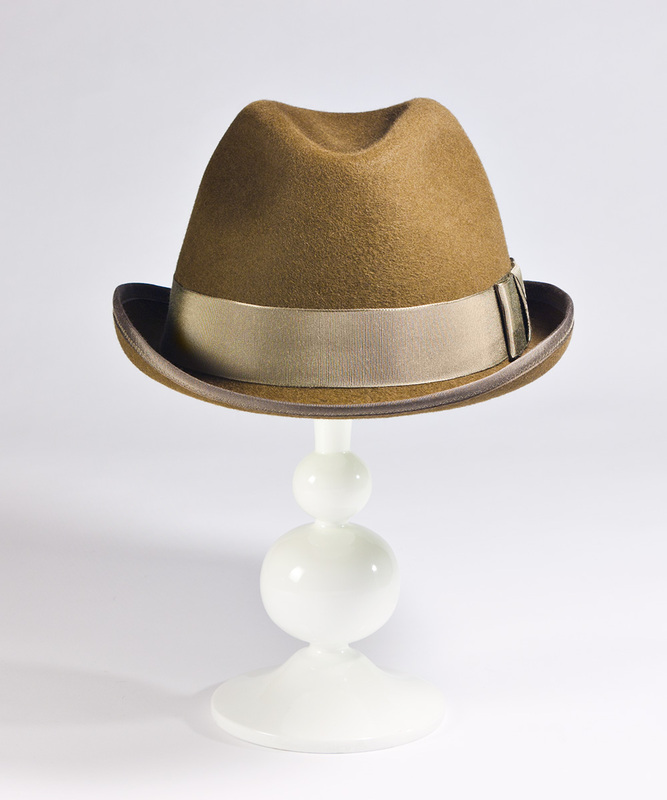 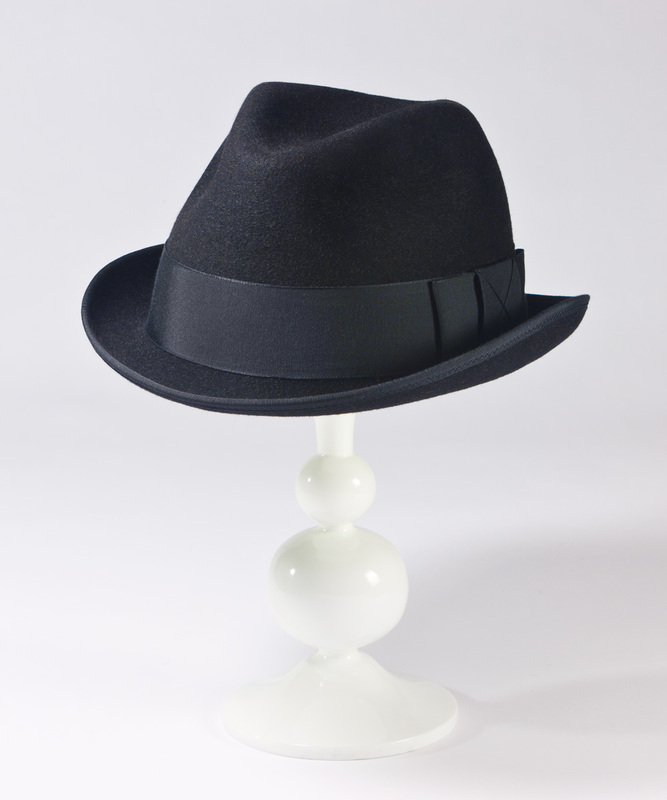 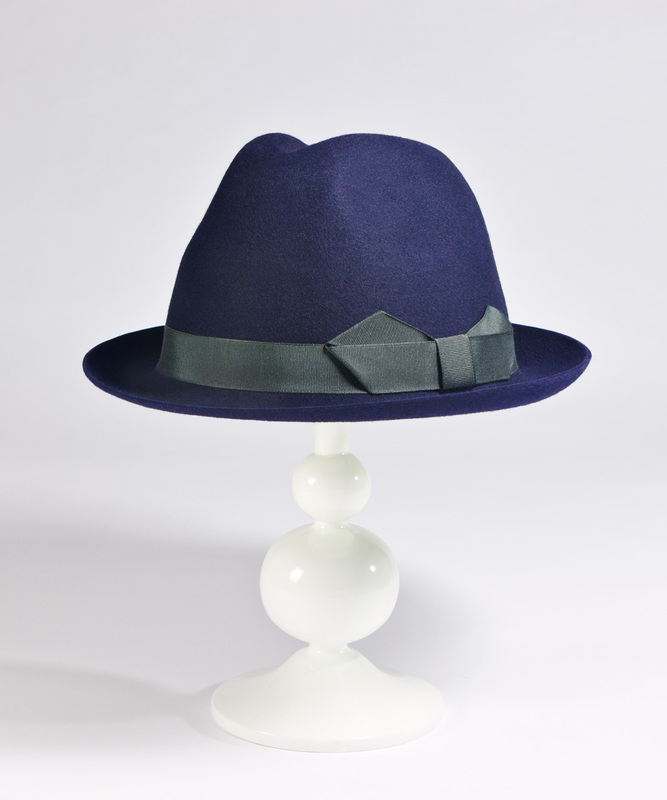 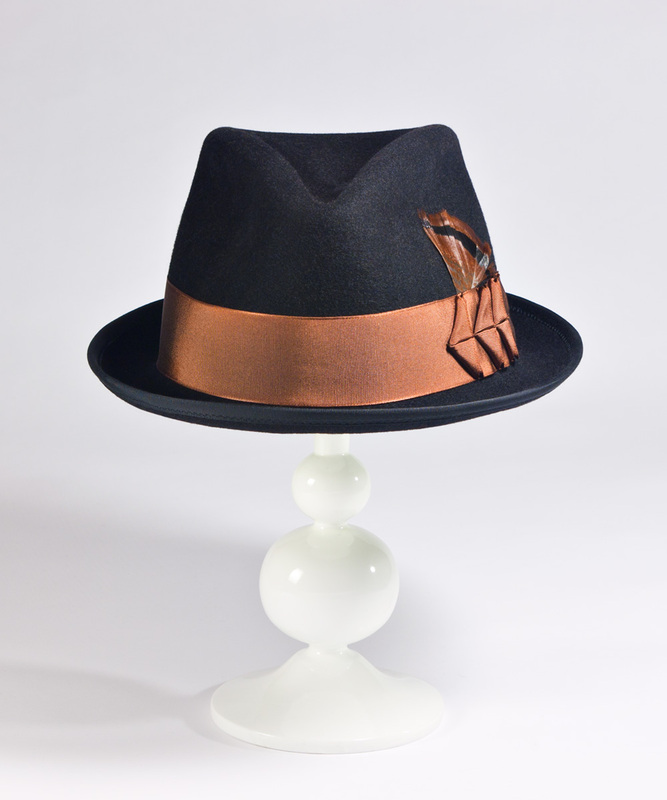 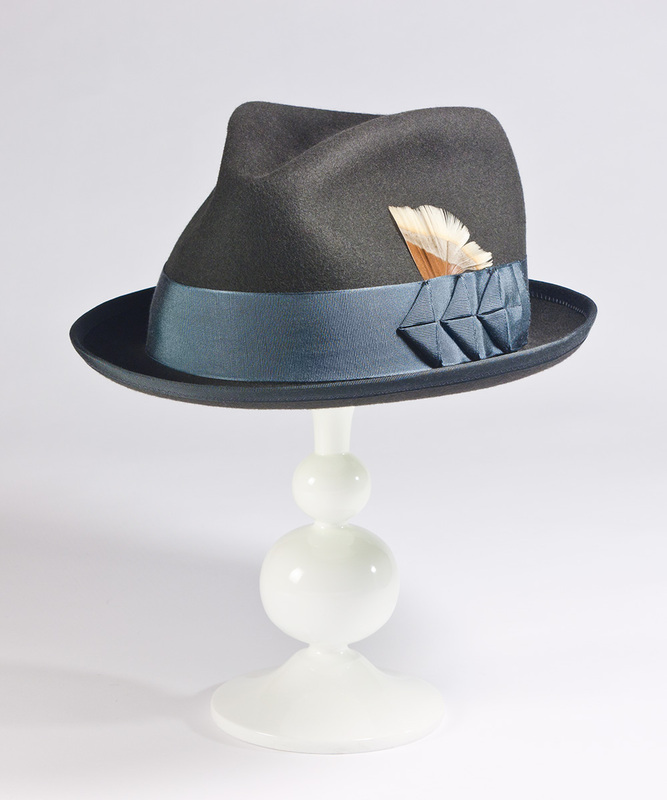 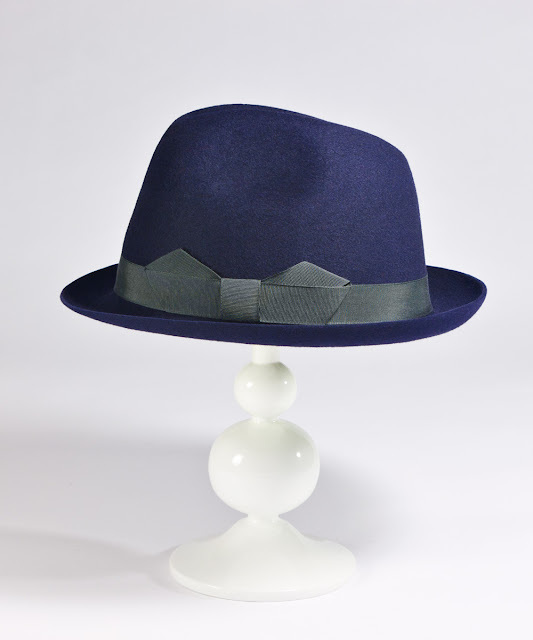 The 'Blake' is House of Nines Design's take on a classic fedora. 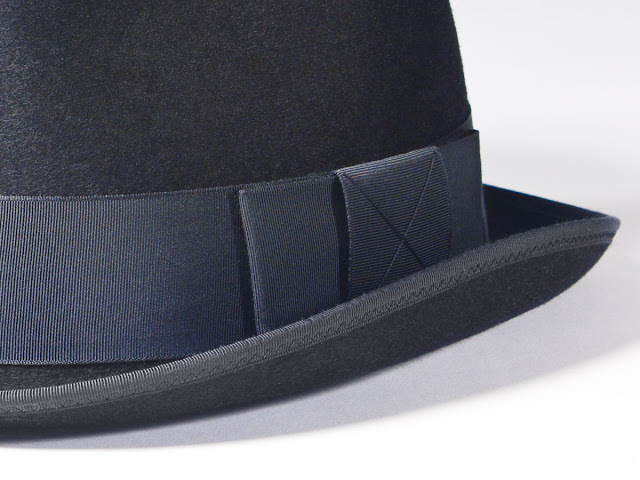 The deep tear-drop shaped dent and hand-shaped pinch at the front makes for a substantial, organic look. 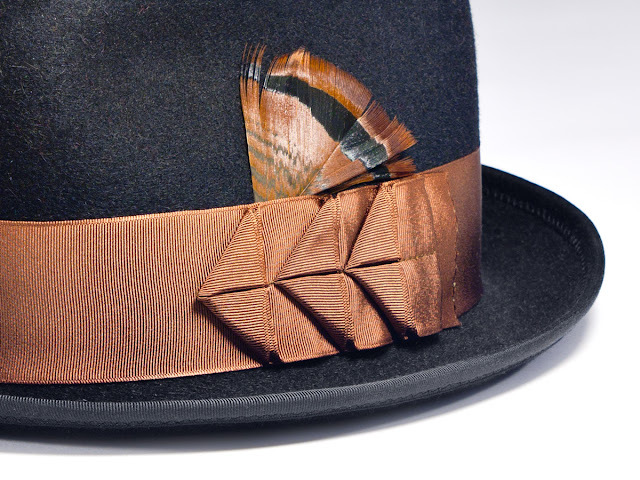 Trimmed with fancy turkey feathers and hand-folded ribbon arrow motifs. 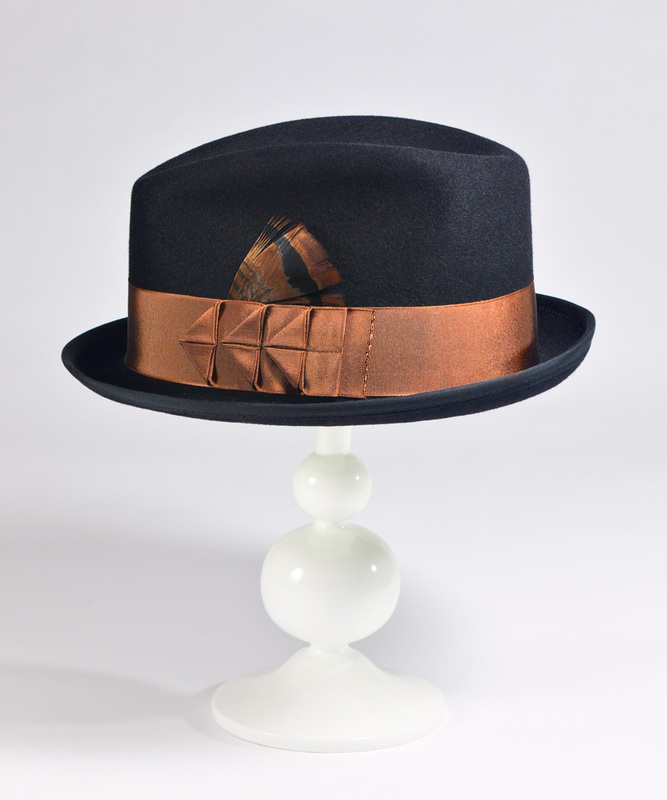 Available in charcoal gray with steel blue trim, or black with copper brown trim. The 'Kingston' was inspired by styles popular with Brazilian Bossa Nova and Jamaican Ska musicians of the early 1960s, and again during the Mod revival of the 1980s. 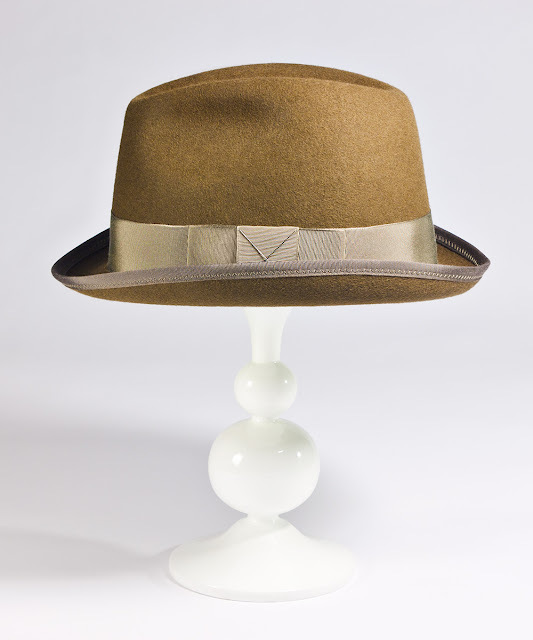 Ever classic, the mod look has seen a resurgence in popularity again in high fashion during the last decade. 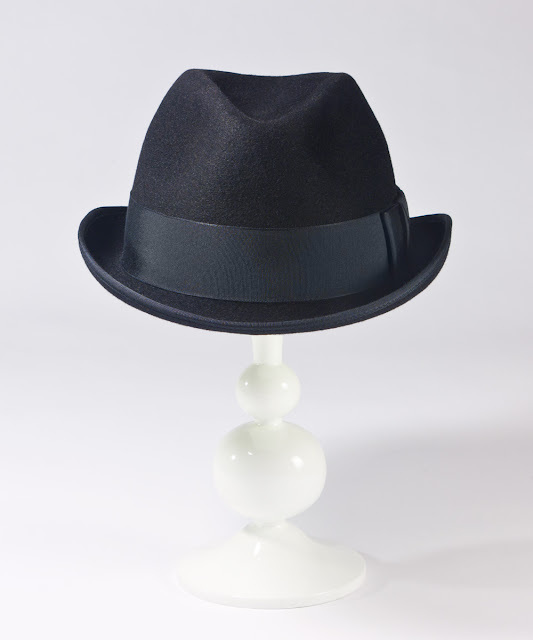 The 'Kingston' is a stylized fedora with a slightly conical profile, high rounded front pinches, and a tight teardrop-shaped dent. It has a stingy, sanded-edge brim and is trimmed with a graphic, folded bow. 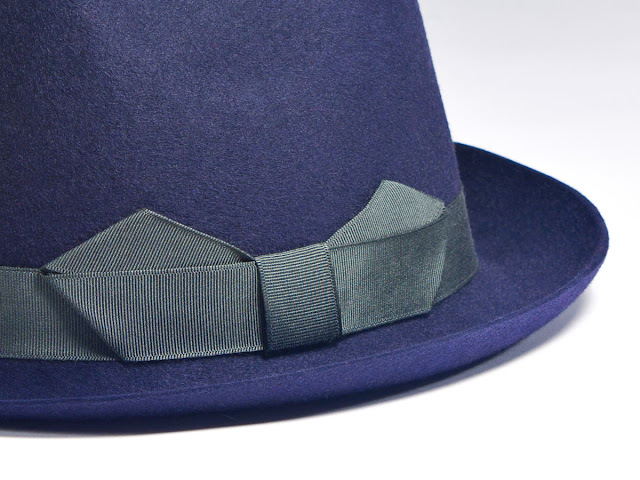 Available in black, or navy blue with a steel blue band. 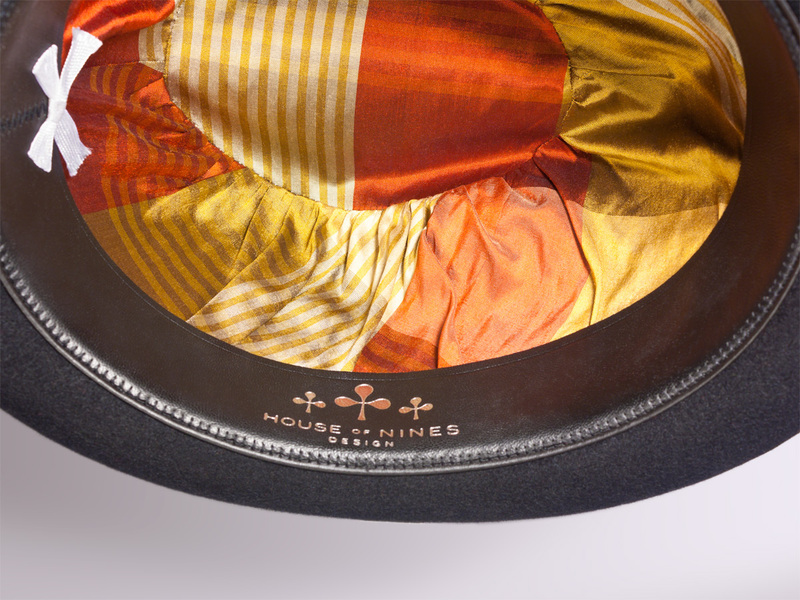 All House of Nines Design hats are lovingly made by hand to order, one at a time, at our studio in San Francisco, California. 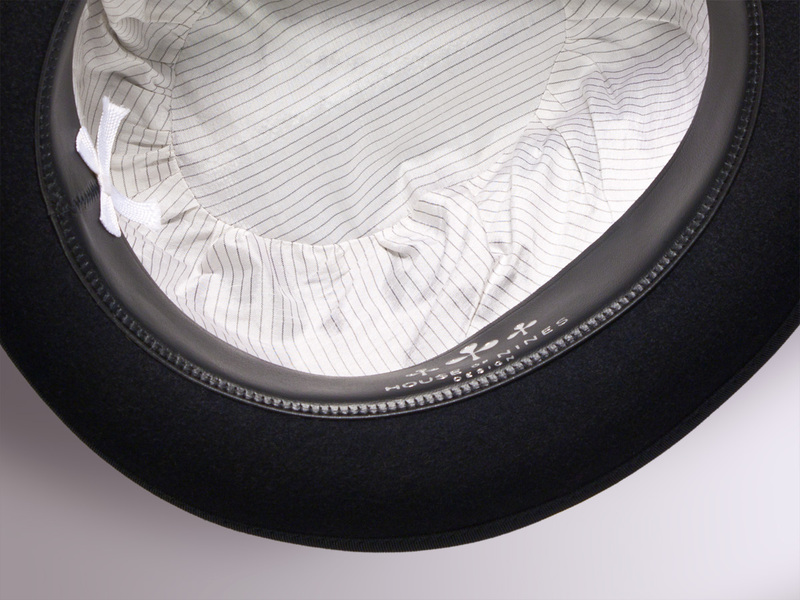 We use only the best quality materials. 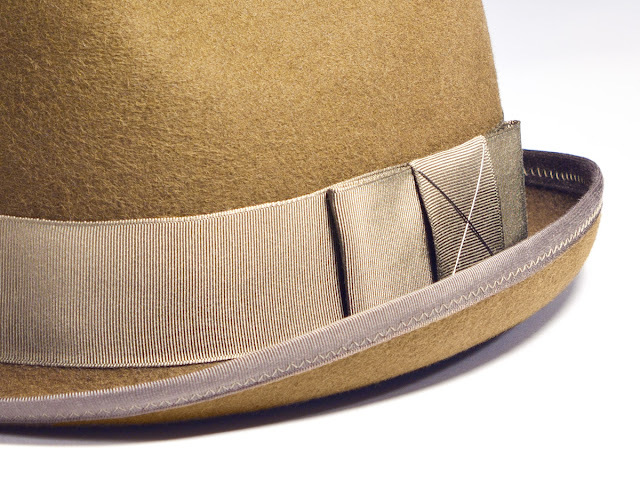 Mens hats are silk-lined and fitted with full-grain Roan leather sweatbands. Custom sizing and styles available. 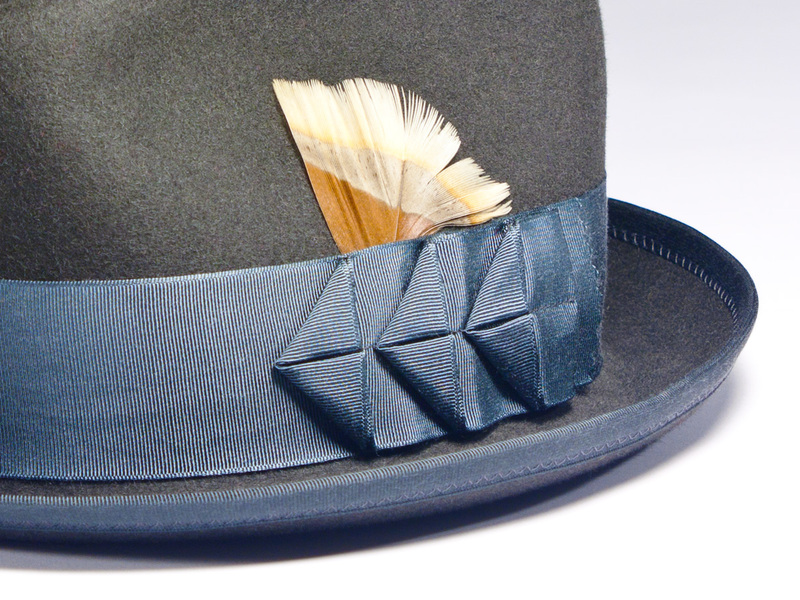 Additional colors and trim options upon request.